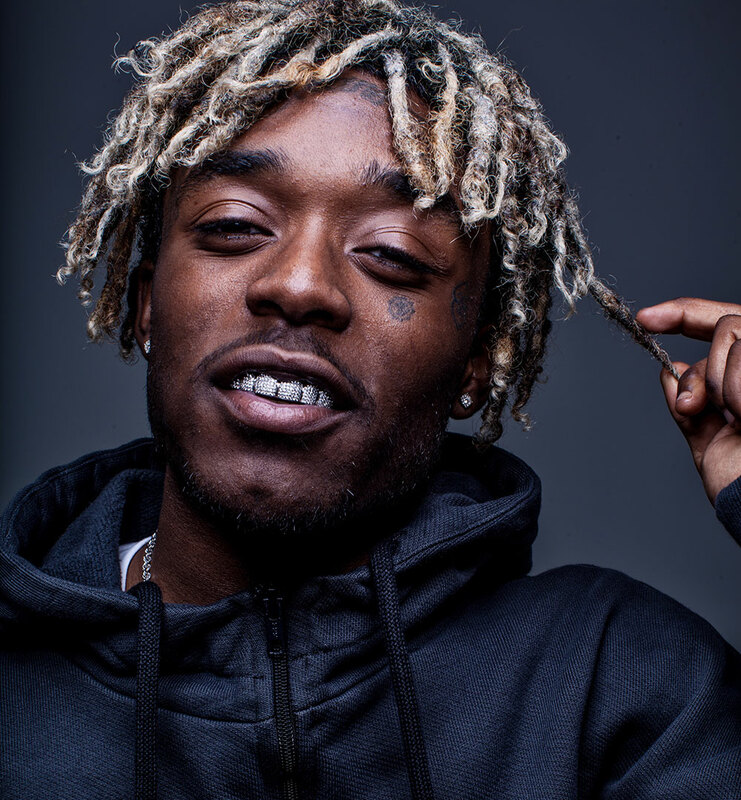 In a recent interview on Hot 97, emerging Philly rapper Lil Uzi Vert told Ebro, “If you put on one of them old beats, I’m not rapping on it.” Ebro, magisterial host of the show, looked on in annoyance as Uzi “straight up” admitted he wasn’t interested in “Mass Appeal”, DJ Premier’s boom bap standard. Known for traditional hip-hop sensibilities, Ebro is a staunch protector of the boom bap sound. And his irritated expression no doubt spoke for a large block of golden era fans who were equally offended. By the time Uzi proclaimed that he didn’t really know how to count bars, you could hear the collective thud of pinwheel fitted caps slamming against the ground throughout the Tri-State Area. Uzi’s matter-of-fact defiance aligned him with Vince Staples, another mutinous figure who doesn’t abide by the doggedly protected rules of “real hip-hop”—particularly the one about mid-1990s golden era supremacy. Both Uzi and Staples are perceptive enough to realize they’ll alienate some potential fans with their individualist stance, but their irreverence towards the golden era is an important step in hip-hop’s contentious break from dated paradigms and the old canon. Lately, most classic hip-hop acts have shown relative restraint when it comes to dismissing new artists (a far cry from the prevalence of “hip-hop is dead” cynicism in the 2000s). Their fans, however, have taken up the exclusionary agenda. While new-school torchbearers such as Kendrick Lamar and J. Cole placate conservatives enough to sidestep this sort of criticism, the sonic progeny of Lil Wayne’s autotuned warbles land squarely in the purist’s crosshairs. Genre-bending artists like Future, Young Thug, and now Uzi are praised as artists who expand hip-hop’s sonic boundaries. The Source dubbed Future rapper of the year, alongside Lamar. The Washington Post lauded Thug’s “post-verbal brilliance.” And yet, they’re still the subjects of ire from a sect of fans that stubbornly judge their music by the metrics of Black Moon or Mobb Deep. In 2015, a self-proclaimed hip-hop head on DJBooth.com crafted a very condescending, “very serious lyrical analysis” of neo-ATLien Thug—an undertaking as pointless as a 3-point analysis of Shaq. Thug is one of many New Atlanta artists who are about as fond of enunciating as snitching, but the sinewy, melodic delivery of often inscrutable lyrics resonates with massive audiences. Those are the listeners Uzi was referring to on Hot 97 when he noted that his fans would understand his reluctance to spit over boom bap. It’s telling of the generational divide that the Hot 97 DJs, last beacons of a waning medium, had to be told something that Uzi had already discovered. Ebro’s confusion is not surprising though. After all, Uzi was speaking to a radio crew who once said Joey Bada$$ was a “minor league” artist based on his lack of radio friendly singles—even though his albums have outsold Troy Ave, who Ebro praises. Elsewhere in the interview, Uzi mentioned his adoration of Kanye’s 808 and Heartbreaks, one of the most polarizing albums in hip-hop history. On 808s, Kanye ditched his trademark sound and decided to harmonize over a moody, synth-driven soundscape. Then-adolescents like Uzi revere the album, but it was lost listeners who pined for “Spaceship” Kanye instead of “Heartless” Kanye. During the interview, both the Hot 97 hosts and Uzi agreed that 808s and Heartbreaks divides age groups. Uzi and his contemporaries point to that album as inspiration, while older fans contend that it’s the start of Kanye’s sonic descent. The anti-808s camp includes many of the same people who today don’t understand that Uzi and the like are simply ill-suited for dusty breakbeats. Rather than lyrical machinists, they’re eccentric vocal stylists. And they favor sparse 808 production because the unconventional melodies and flow patterns they love aren’t easily unearthed on traditional 96 BPM drum programing. It’s akin to bouncing up a playground basketball court at a moderate pace vs. at breakneck speed: which tempo would allow for more tricks to be done? When Lil Wayne did Rebirth, a full-fledged rock project, then seamlessly followed up with No Ceilings, an exhibition of lyrical supremacy, young rappers were galvanized. And that’s the root of it. Reverence for 1990s hip-hop is justifiable, but fans have developed a sense of pretension and entitlement about the era. And many purists appear to feel that since they control gateways to success, subscription to traditional sensibilities is the toll. But the current generation of artists show us that’s simply not the case. When 808s went platinum off the strength of autotuned melodies, the young’ins noticed. When Wayne was calling himself both a “rock star” and “best rapper alive,” they were taking notes. When he did Rebirth, a full-fledged rock project, then seamlessly followed up with No Ceilings, an exhibition of lyrical supremacy, they were galvanized. Those who don’t want to assiduously affirm that they’re the best rapper can make the best music, on their terms. Lately that means R&B-inspired inflections, off-kilter flows, and bebop-esque ad-libs. They also noted that when Wayne called himself the best rapper alive, he had no problem with T.I. calling himself “king of the south” simultaneously. Could that have happened in 1995, with Biggie calling himself Frank White (King of New York) Nas hypothetically calling himself “best rapper alive?” Not without a couple diss records. Those divergent moves amended hip-hop’s bylaws, and fueled the rock star ideations of Uzi, Thug, Future Hendrix, and many other artists. There’s nothing wrong with aiming to be the bar-for-bar king, but artists are no longer beholden to that approach as a default. Those who don’t want to assiduously affirm that they’re the best rapper can make the best music, on their terms. Lately that means R&B-inspired inflections, off-kilter flows, and bebop-esque adlibs. Young artists who channel the golden era remain, but they’re less prevalent. Lyricists such as King Los, Fashawn, and Skyzoo even seem taken for granted. But the fact that they struggle to garner high profiles at the rate of Kevin Gates or Future suggests that, though hip-hop conservatives are outspoken, they’re firmly in the minority of contemporary listeners. Likewise, why are vets like The Lox, Redman, and Mobb Deep struggling? It would do hip-hop traditionalists well to spend more time appreciating what they still have than complaining about who doesn’t appeal to them. Hip-hop conservatives struggle to accept that the further we get from 1994, the less kids will be inclined to proclaim the golden era superior to the one they lived through. The generation gap in hip-hop is over 40 years wide, and we all have to realize it won’t be bridged via incessantly dissing contemporary sounds. Artists like Vert and Staples will become the norm, and they will appeal to young fans who aren’t ashamed of identifying more with 808s and Heartbreak than Hard to Earn.